A terahertz detection scheme is proposed based on weak measurement. In this scheme, the spectral shift δλ of a broadband beam such as a femtosecond laser is measured after passing through an electro-optic crystal undergoing Pockels effect due to an incident pulse THz field. The shift and the sensitivity to the amplitude of the incident terahertz beam are controlled by the angle of the post selection β/2 and the spectrum width ∆λ. The sensitivity of the scheme to changes in the phase modulation ∆Φ is also derived. Lastly, we comment on the practicality of this new scheme. N. Hermosa, R. delos Santos, and E. Estacio. 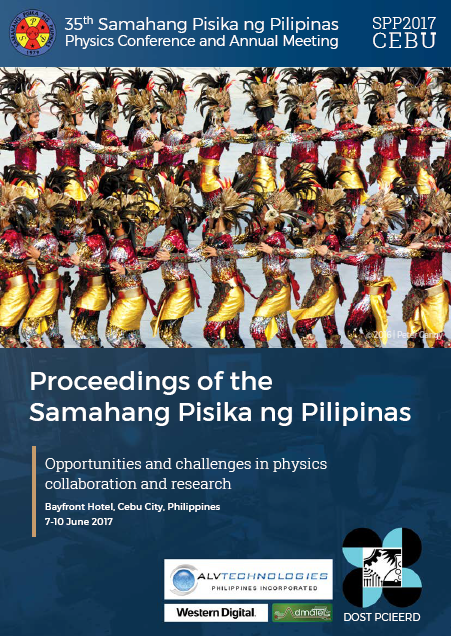 Terahertz detection via weak measurement: A proposal, Proceedings of the Samahang Pisika ng Pilipinas 35, SPP-2017-2C-02 (2017). URL: https://paperview.spp-online.org/proceedings/article/view/75.